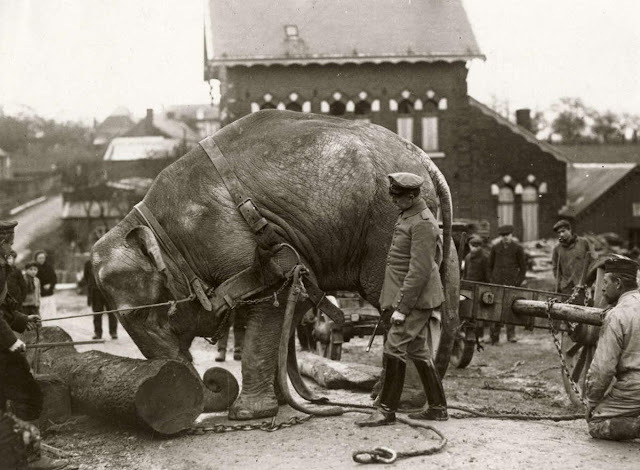 Thanks to new input that we received from the United States and Austria, a new extended edition of the book on Albert K. Dawson and his photographic work during World War I is now available on the Amazon websites in America and Europe. With special thanks to Norbert Brown (Vincennes) and Sema Colpan (Vienna) for their invaluable information from over here and over there! In this new edition, the reader will learn more on Dawson's first photographic assignments, his youth in his hometown Vincennes, Indiana, his reports in Vincennes on the Great War, as well as the letters that he wrote to his family on his experiences in wartime Europe. Over 30 new pages have been added to this edition of Shooting the Great War: Albert Dawson and the American Correspondent Film Company, 1914-1918. The book on World War I cinematographer Albert Dawson has been received well - particularly in his hometown Vincennes, Indiana. We got some great comments from local (film) history fans, and as a result the authors also received new information that we will incorporate in a new edition, to be printed next month in December 2013. November 11, 2013 - Armistice Day. The First World War ended 95 years ago. As a special feature, here's a picture copied from the American Legion Magazine of June 1942, showing Albert Dawson when he was a Captain in the United States Signal Corps, directing war pictures. An unusual sight: Albert Dawson captured this scene of an elephant being used for for construction work by the German army on the Western Front in early 1915. 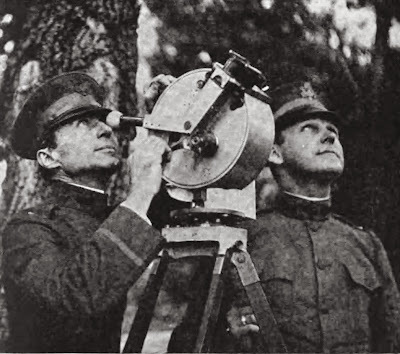 U.S. Signal Corps cinematographers, photographed by Dawson in 1917, handling the Akeley "pancake" camera. This new model also was used on the European battlefields during World War I.
Doug Carroll, from Dawson's hometown Vincennes, Indiana, published the following review on Shooting the Great War - thank you, Doug, for your enthusiastic support to our project! 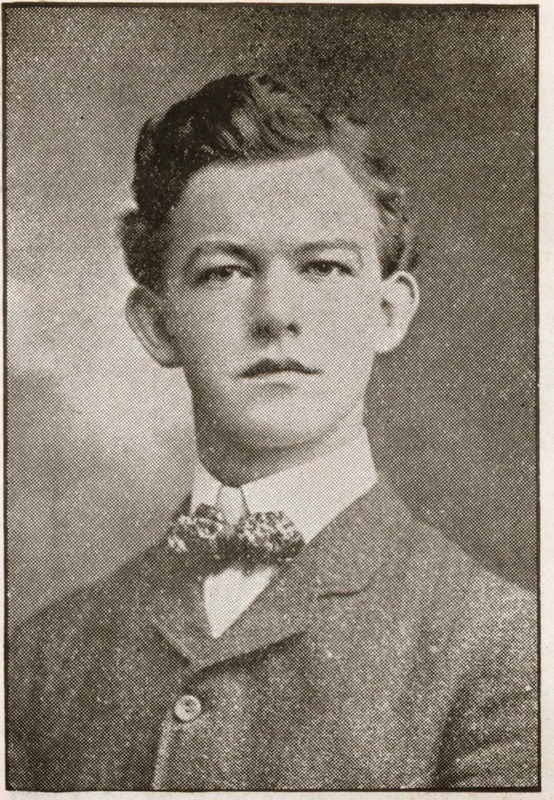 I have had the pleasure to read "Shooting the Great War" in both its pre-run and final print editions and now I am grateful to know the story of Albert Dawson. However, that is not the amazing part of this book. Ron van Dopperen and his colleagues have brought to life a story that took place 100 years ago in World War I. The writing is so informative yet an easy read and the photographs are worth the price of the book. Thanks for sharing the amazing story of this talented American. 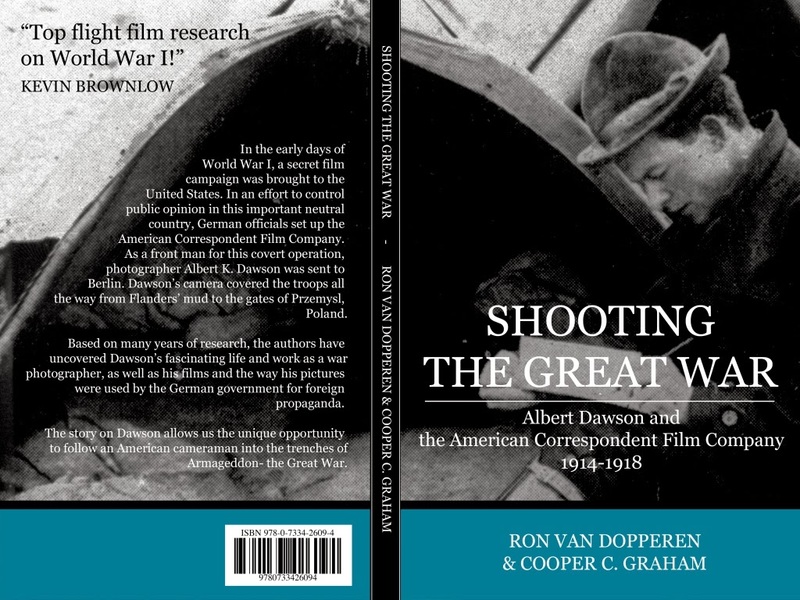 On November 3, 2013, a second edition of the book on World War I cinematographer Albert K. Dawson has been published. Apart from some minor editorial changes, the authors added some updated new information on the historical background story concerning Dawson's remarkable experiences as a cameraman following the trail of the German, Austrian and Bulgarian armies in 1915-1916. The book is also available through Amazon on websites in the UK and Germany. German trench line system around Soissons, Western Front February 1915, pictured by Albert Dawson. 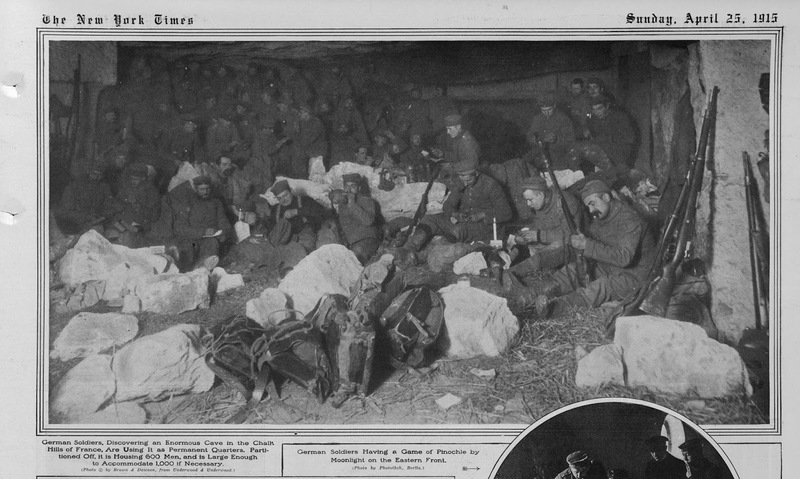 Natural caves were converted to dug outs to fortify the German lines. 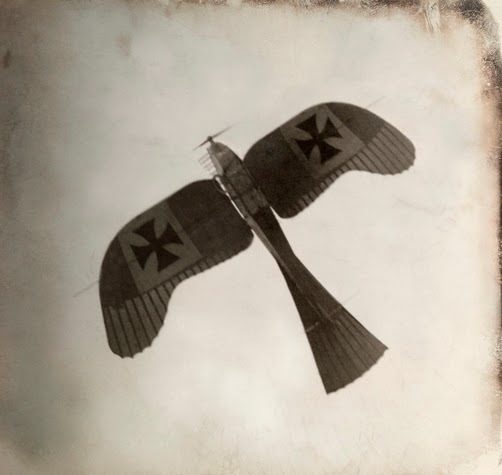 Nicknamed "the Dove", this German World War I fighter plane was photographed by Dawson in 1915. A lucky shot, he captured this spectacular scene at the exact moment when the plane flew above him. The picture ended up on the cover of the New York Times War Pictorial. 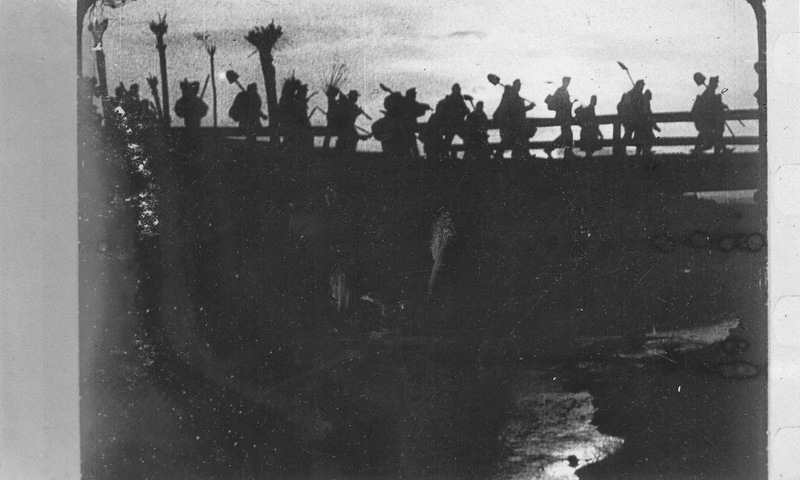 Scene from Dawson's war film "The Battle and Fall of Przemysl": Austrian engineers moving up to the firing line at dawn. Starting October 21, 2013, the new book on Albert Dawson and his remarkable experiences as a cinematographer during World War I is available on Amazon, both in the USA and in the United Kingdom and Germany. The book will also be made available for bookstores throughout the United States. Watch Albert Dawson online at the website of the Imperial War Museum in London. This clip shows him inspecting the ruined forts of Przemysl in June 1915. Rows of Russian soldiers were shot dead by Austrian machine guns around Fort no. 10. The new book on World War I cinematographer Albert K. Dawson, soon to be available on Amazon.com, will have a foreword by Kevin Brownlow. His magnificent book "The War, the West and the Wilderness" made us realize the unresearched weath of research opportunities into this subject. Thank you, Kevin, for your valuable support to this project! Almost a hundred years ago, the First World War broke out. 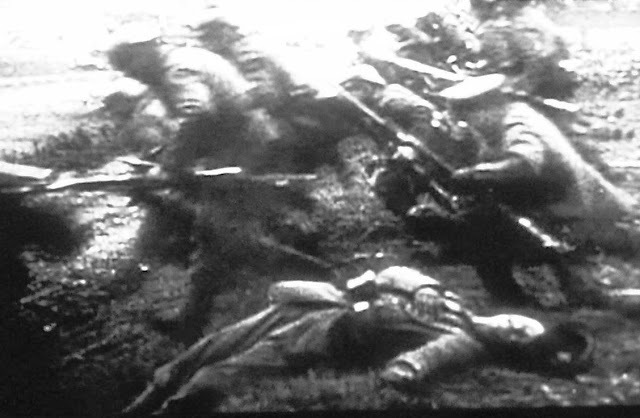 Although some military conflicts had been photographed before, the Great War was the first modern war to be recorded on film. To commemorate the upcoming Centennial of the First World War, film historians Ron van Dopperen and Cooper C. Graham have started on a book on Albert K. Dawson, one of the most remarkable cinematographers of the Great War.